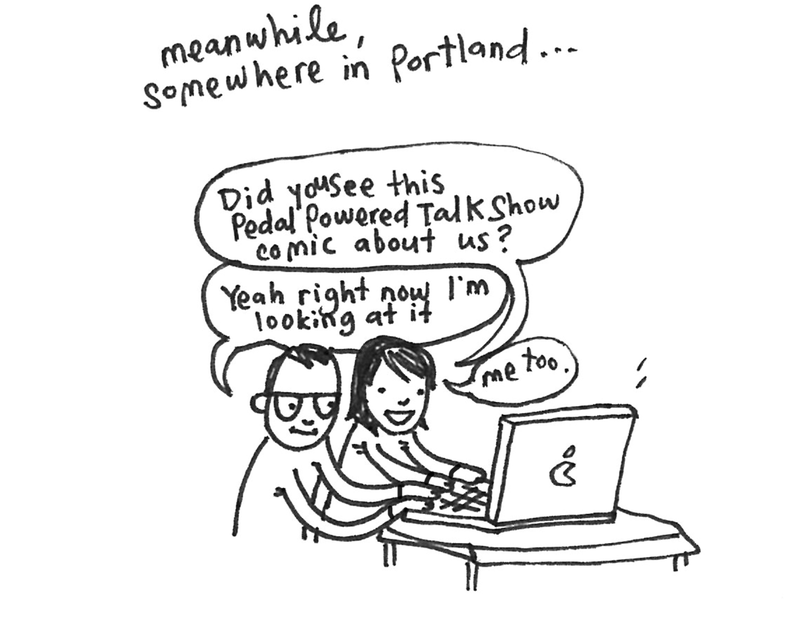 Over one year ago we started our quest to get The Pedal Powered Talk Show onto an episode of Portlandia. Despite the lack of any official word from Portlandia, we haven’t given up. It’s been an emotionally confusing and frustrating year. 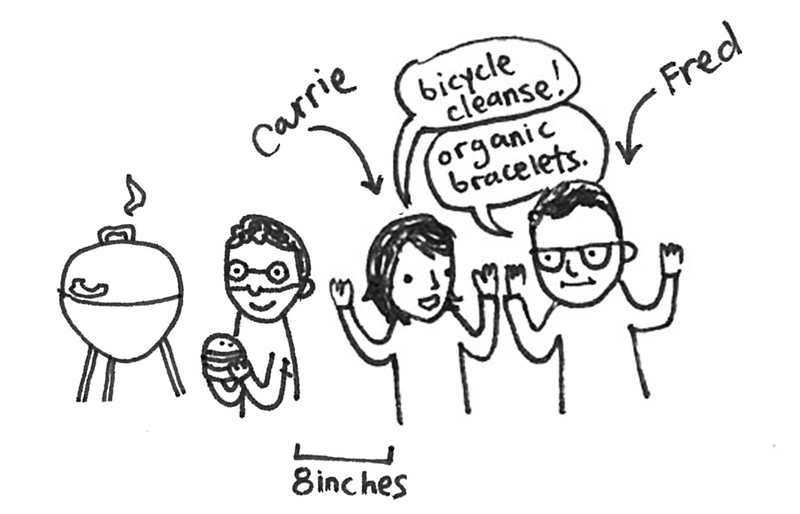 To to make it simpler to understand, we’ve created a recap of our entire Portlandia quest complete with illustrations by the illustrious Brooke Barker. 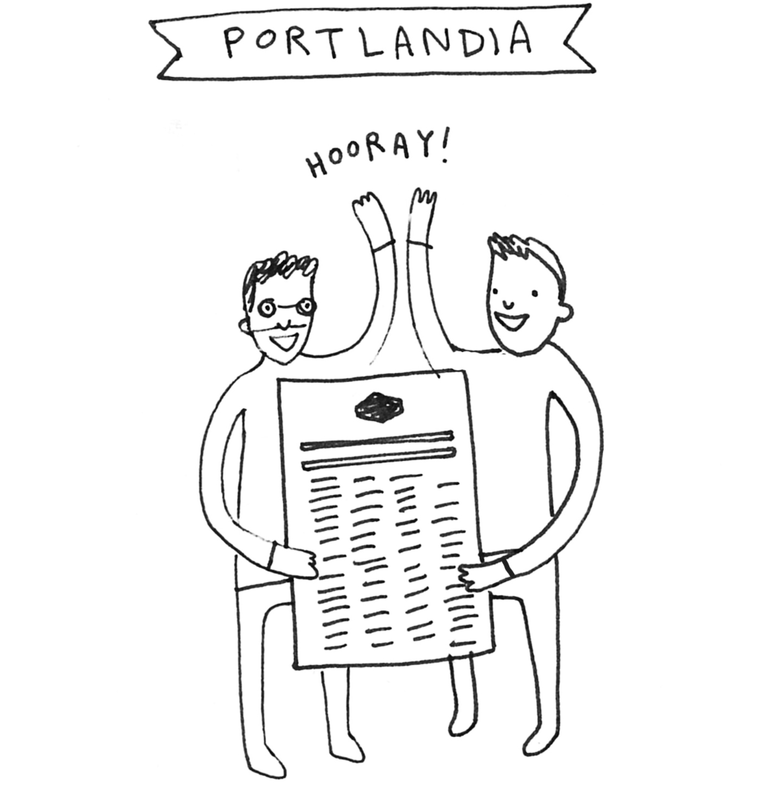 It all started on September 18th 2013, when we published an open letter to Portlandia right here on our blog. 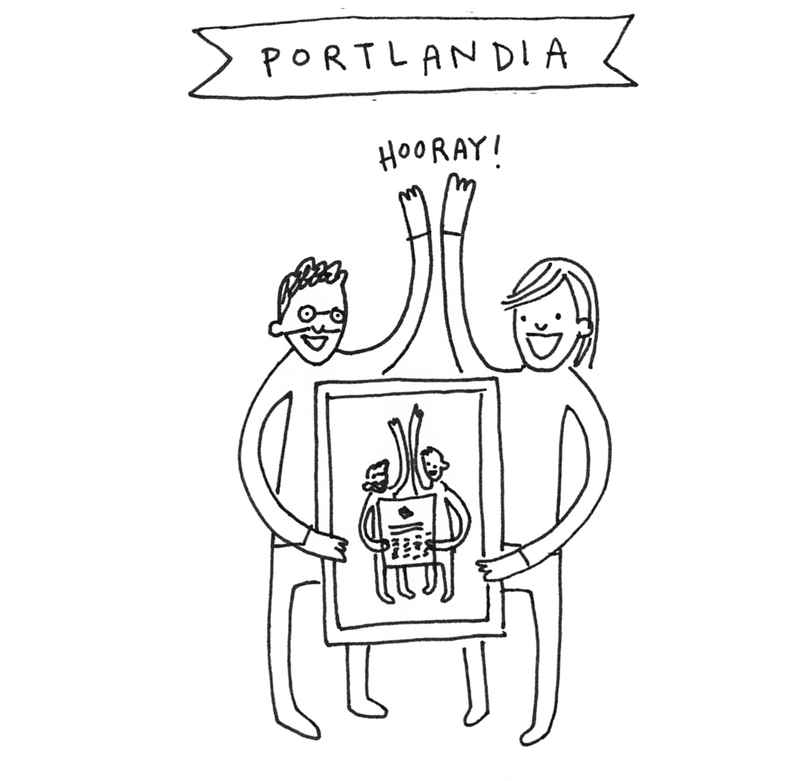 Apparently, Portlandia never saw our letter despite our frequent tweets, facebook posts and videos. So a few months later we printed out a giant version of it and had all our friends sign it at our 3rd season launch party. 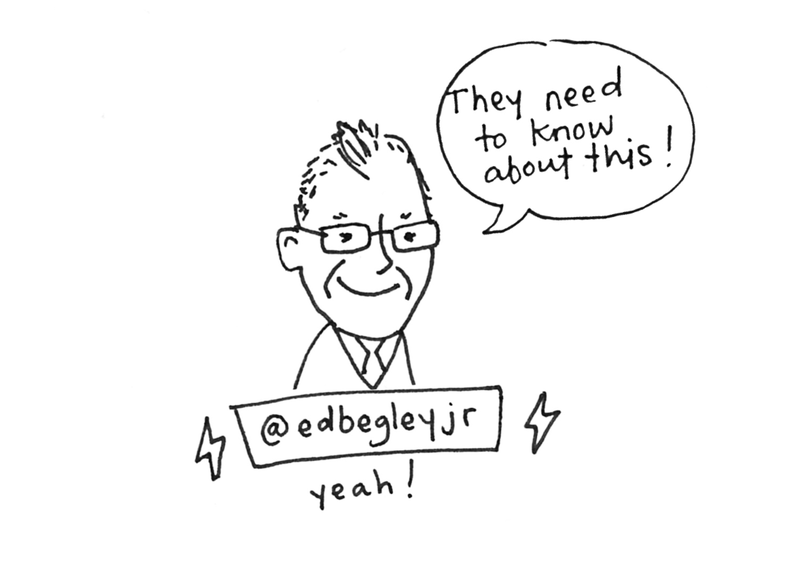 When we interviewed frequent Portlandia guest star, Ed Begley Jr., he heartily agreed with our demands to Portlandia and said that he would let Fred and Carrie know his feelings on the matter. We even took our giant letter on KGW’s Live@7 and had host Stephanie Stricklen sign it live on the show. 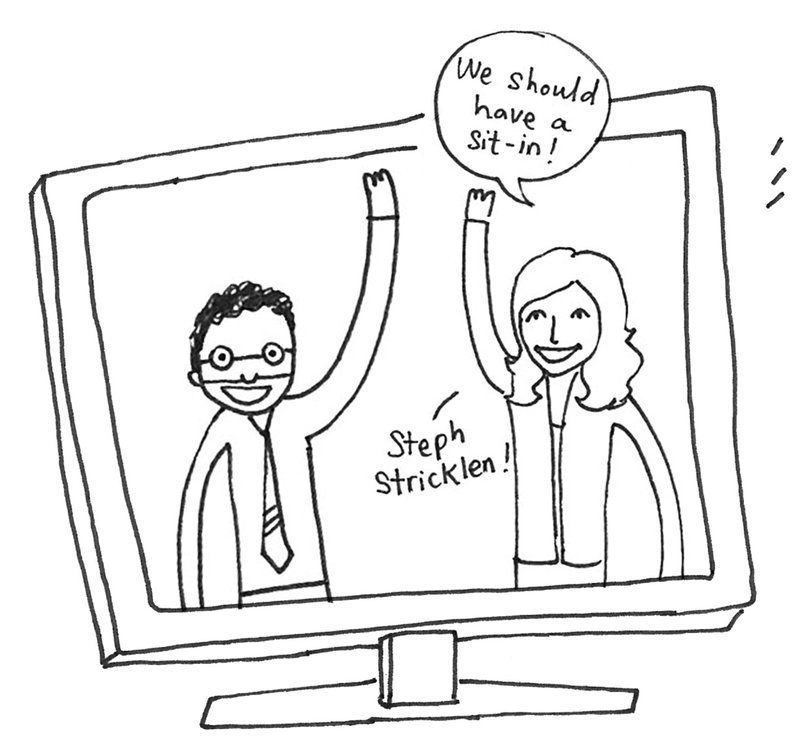 Steph was nothing but encouraging of the cause and even suggested taking some extreme measure. After the entire piece of foam core was covered in signatures, I sneakily found the address of the Portlandia production office and personally delivered it. Though confused, the Portlandia staff people in the office accepted the letter and allowed me to take a photo as I handed it off to a crew member named Moses. Despite our many attempts to get their attention, this seemed to be the first they had ever heard of our plight. Though they didn’t respond with any official comment, I did hear from a few sources that confirmed that they had kept the giant petition around the Portlandia production office. 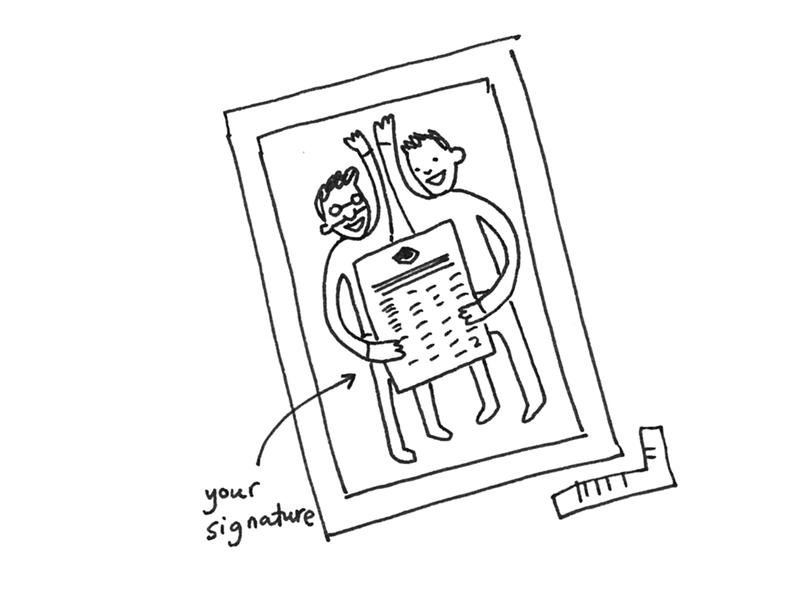 It still felt like they could use another reminder and a nudge so I took the photo of the petition hand-off and had it framed. 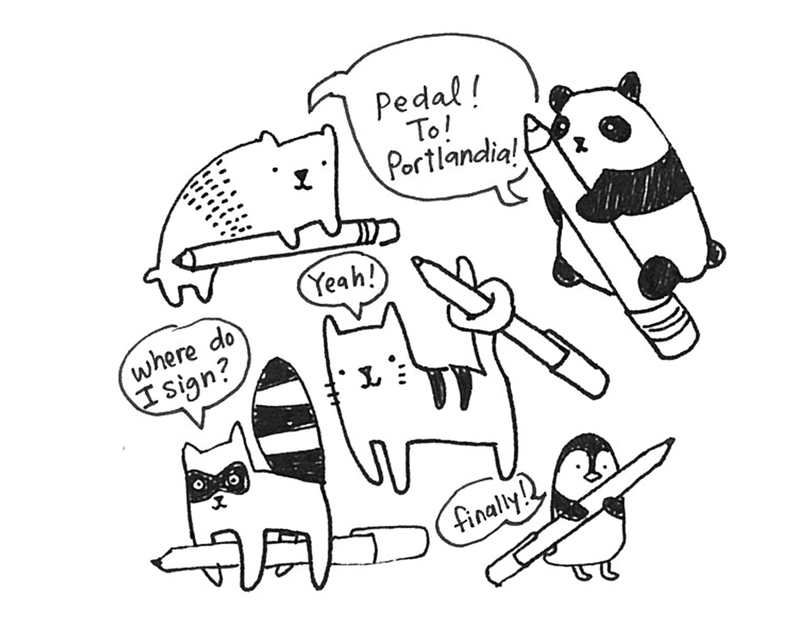 I then took the framed letter and biked to the Portlandia production offices once again. This time the office staff were racing around preparing to pack up for the day and they were not as willing to pose for a photograph of this most recent “hand-off.” A staff worker who introduced herself as Natalie did accept the framed photograph. “Yes,” I answered eagerly waiting for him to make all my pedal powered dreams come true. “Yeah, I saw that big letter you wrote. It’s still up in the office.” But that was it. He didn’t have the authority to invite the Pedal Powered Talk Show to be on a future episode. And he didn’t have any recommendations on who to talk to either. Instead, he handed me a cold veggie burger and directed me to stand a few feet from Fred and Carrie as they started filming the next scene. During a break in shooting, I was finally able to greet Fred and Carrie but just as I was about to bring up the Pedal Powered Talk Show they took away my veggie burger and repositioned me to the “deeper background.” They probably could sense I had something on my mind. And that’s where it stands now. Portlandia’s shooting their fifth season for a couple more weeks before they wrap for the year and now they definitely know about us. But they’ve chosen to do nothing. And all we can do is publish a blog post with adorable illustrations in hopes that it might lead to an increasingly unlikely happy ending. So if you feel compelled to do something, please do. Share this with your friends, tweet your influencers and tell Fred or Carrie about our quest if you happen to be standing in line with them at Fred Meyer. This is in your hands and the time to act is now.